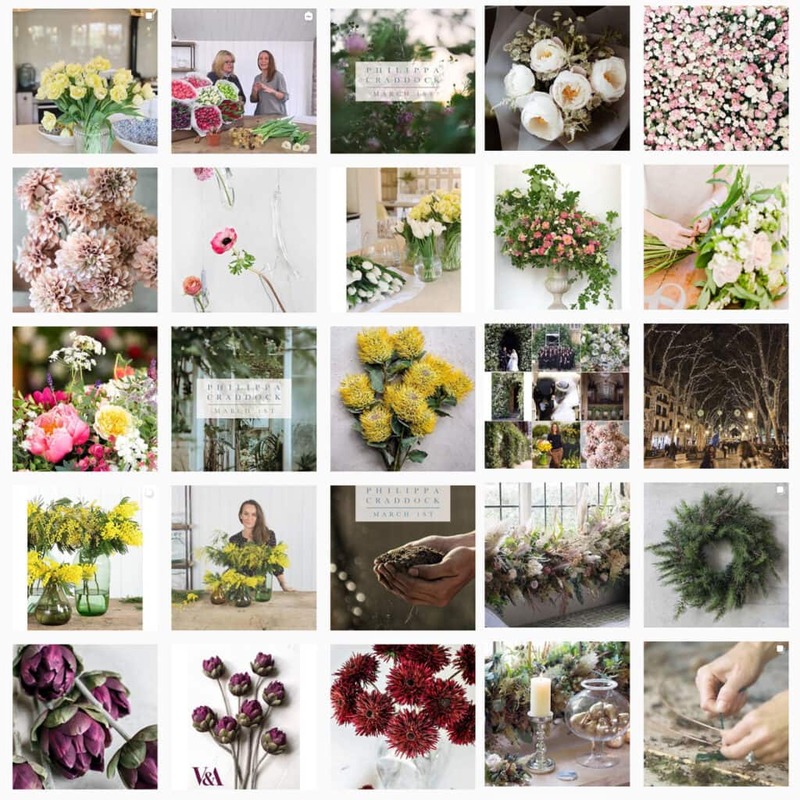 The internet is full of inspirational content for your flower designs. Social media, and especially Instagram is a perfect place to get new ideas, combinations and styles. But where do you have to look? 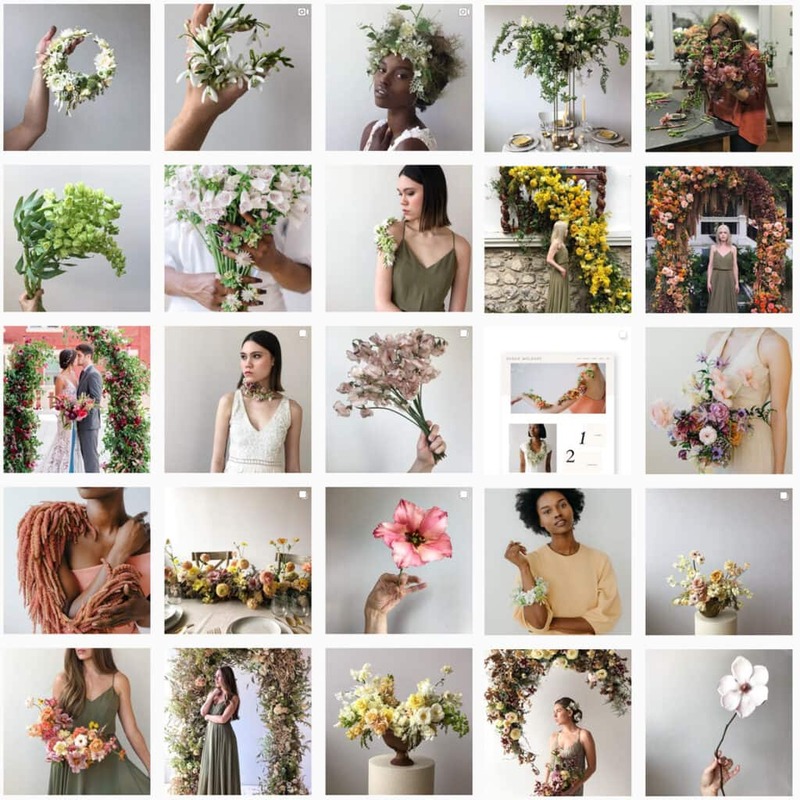 To make things easier for you and your customers we’ve created a list of famous floral designers to follow on Instagram. Check out the list below and take a look at the Instagram profiles. Also, check out and follow our own Instagram profile for designs and inspiration. 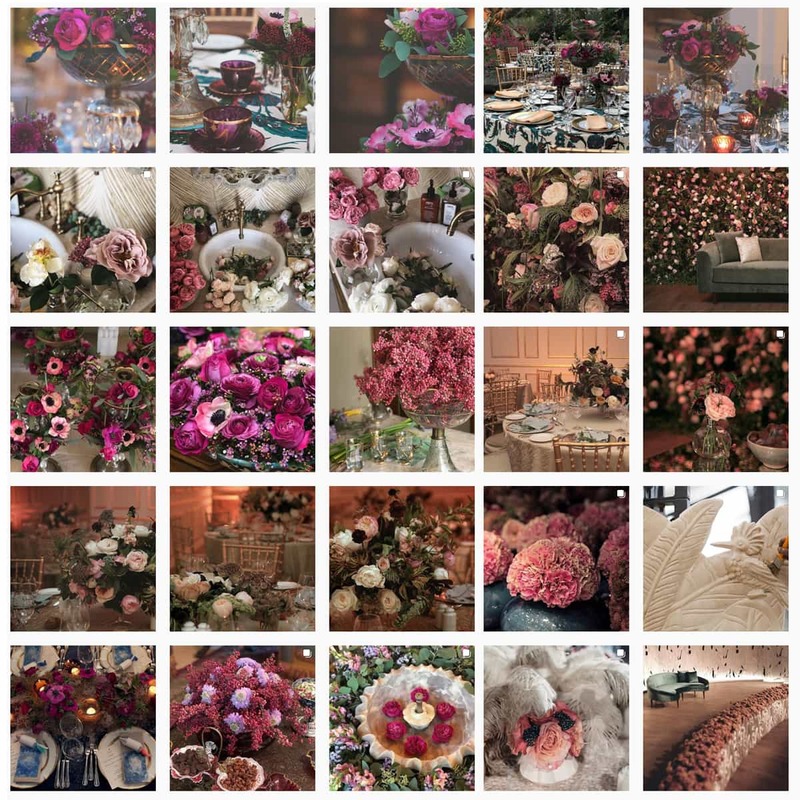 Paula Rooney is an award winning international luxury floral designer. 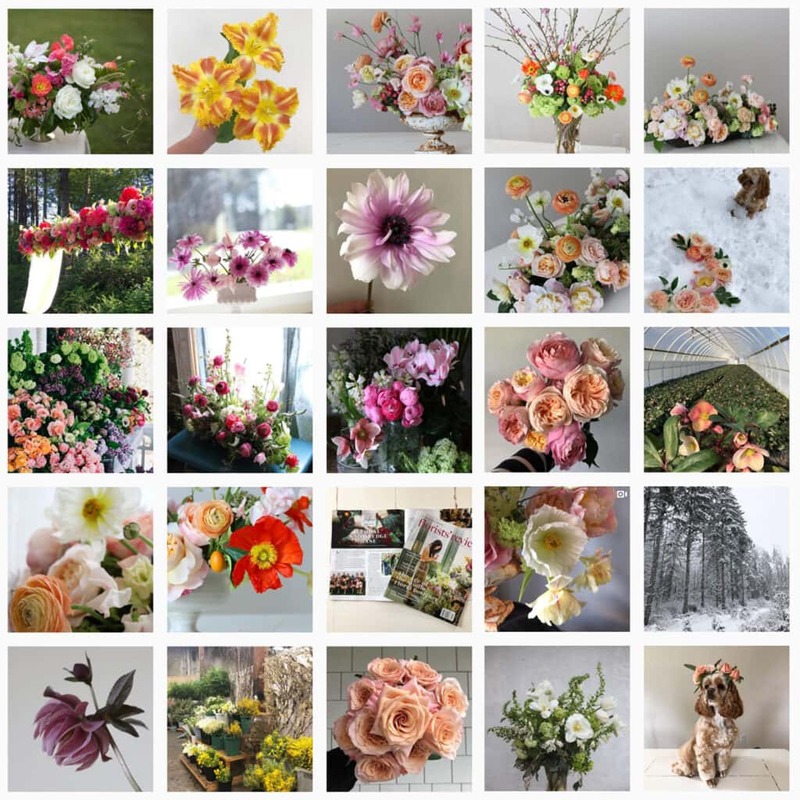 Her Instagram page with almost 20.000 followers is full of stunning floral designs. Most of her work is made for weddings and events. 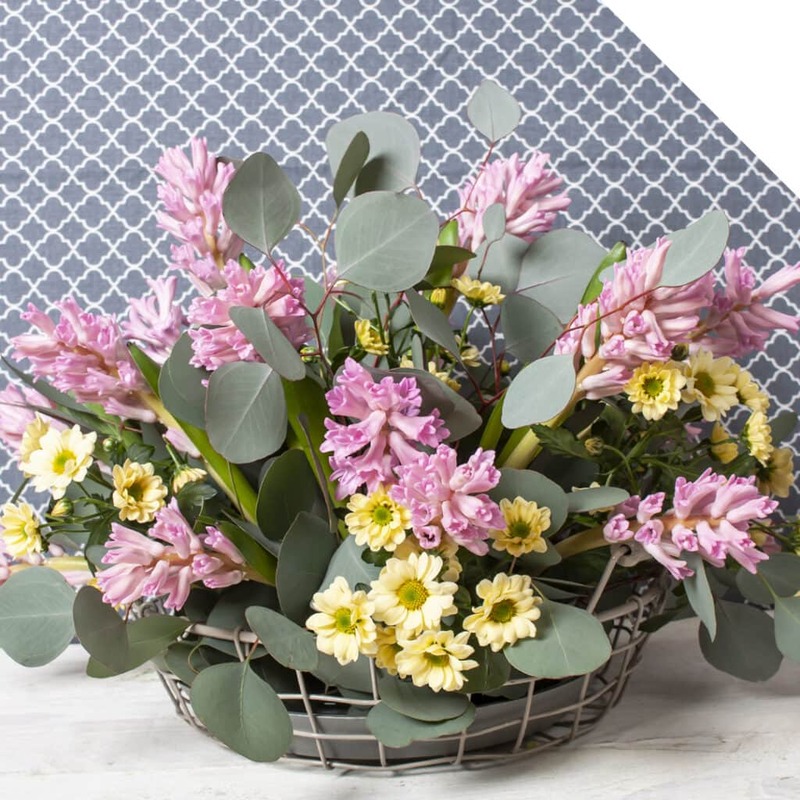 Beautiful centerpieces, corsages and bouquets can be found here. 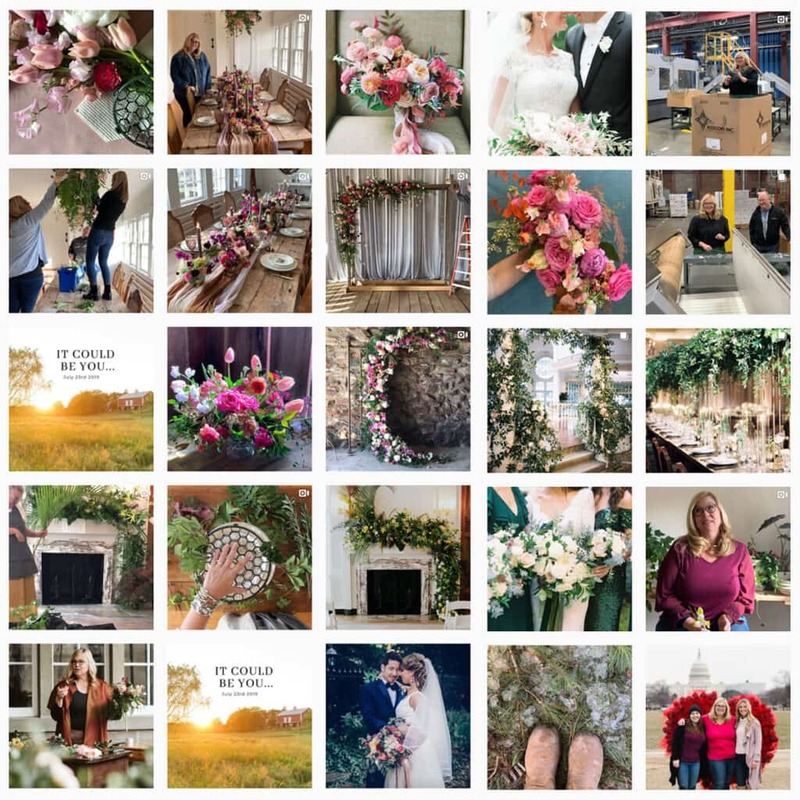 If you’re looking for romantic, modern wedding inspiration then be sure to check out her page here. This Instagram profile is run by Sue Mcleary. She is an instructor, presenter and calls herself a “corsage ambassador”. No surprise that her Instagram page is full of beautiful corsages and designs. Besides the designs, Sue also sometimes posts pictures of single flowers, showing their beauty. One of the things that strikes the most is the continuous use of the same photography style. It is very clean, artsy and often a grey background is used. Check out the Instagram page here. 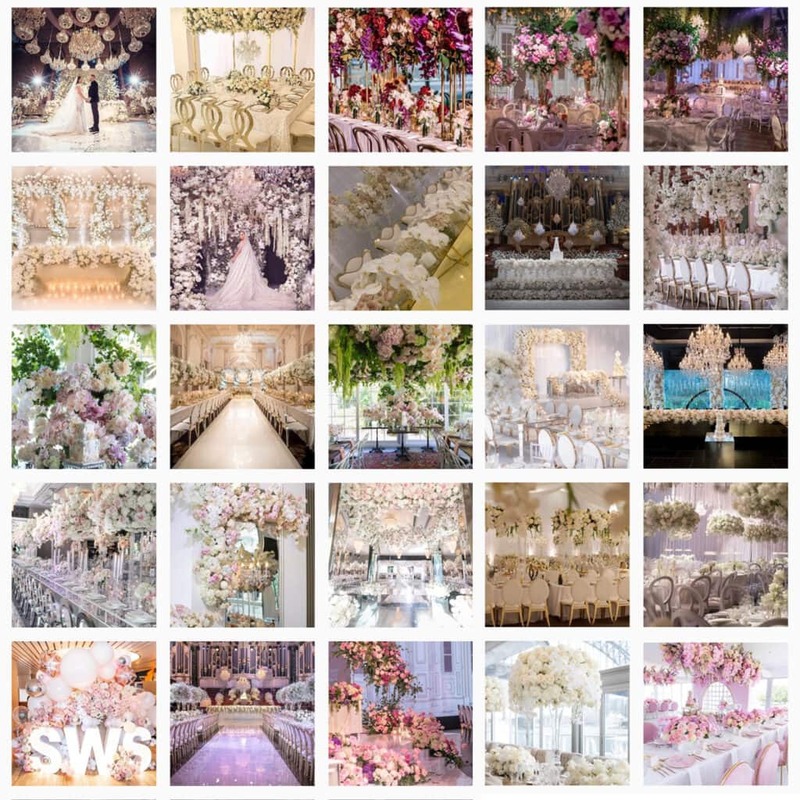 Lace Events is an event planner based in Jeddah, Saudi Arabia. Their Instagram profile with over 90.000 followers is run by their founder and head designer Sarah. 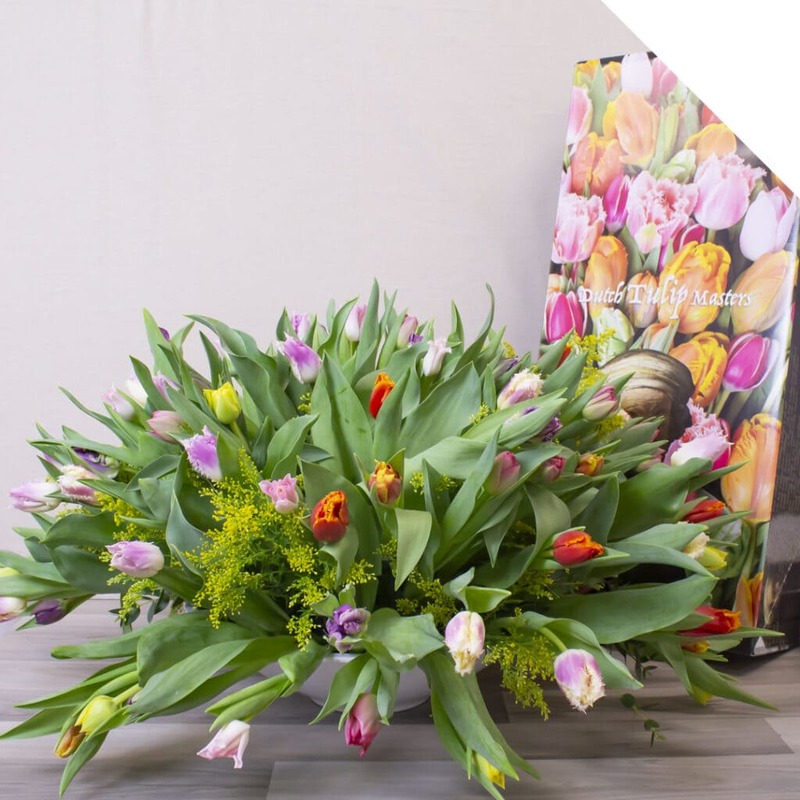 If you’re looking for inspiration for events, large centerpieces or floral table decoration that his is profile is certainly one you need to check out. Take a look at the @Laceevents profile here. 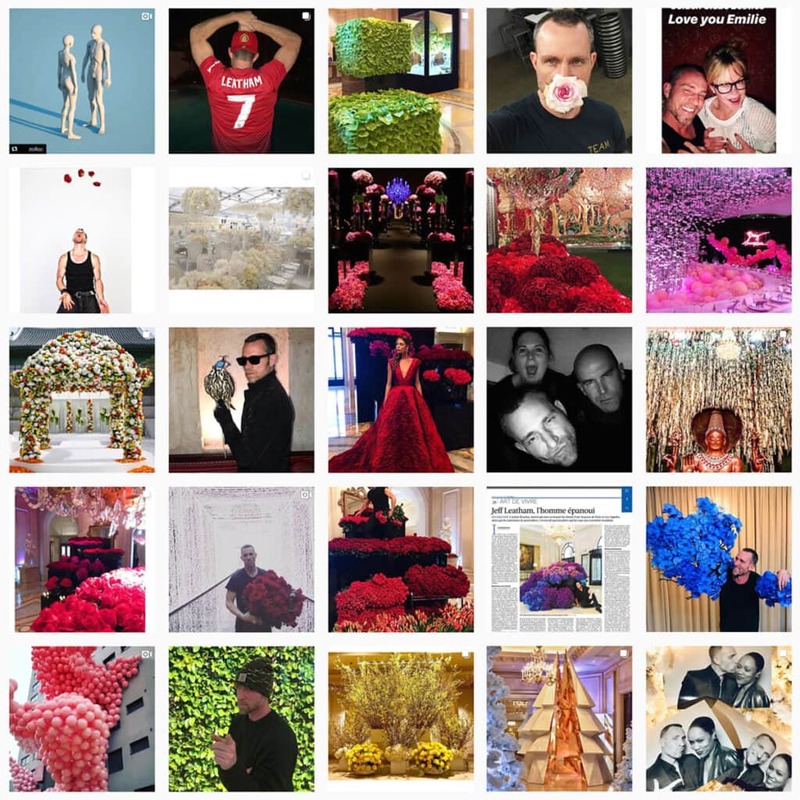 Jeff Leatham is a flower designer and has the most followers from out list. An astonishing 958.000 people follow his Instagram profile. Besides beautiful pictures of his wonderful work at events and designs for celebrities like Dolly Parton and Oprah Winfrey, Jeff also shares a lot of his personal life. This makes people feel related to him, making him an “Instagram celebrity” and quickly raised his amount of followers. 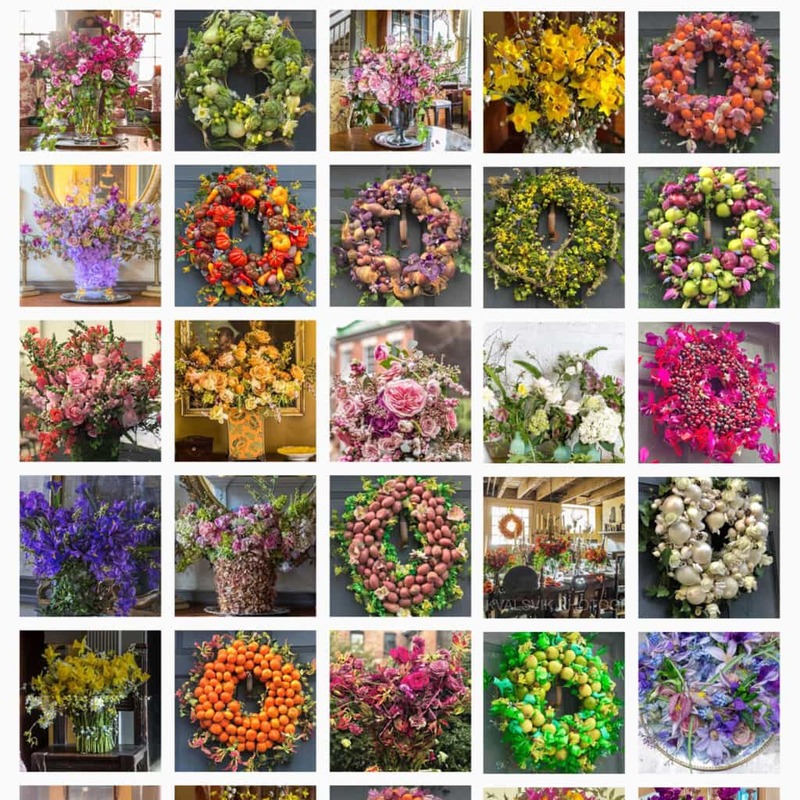 If you want to be astonished by his amazing flower designs and don’t mind scrolling through some none-flower related content than this surely a profile you need to follow. Check it out here. 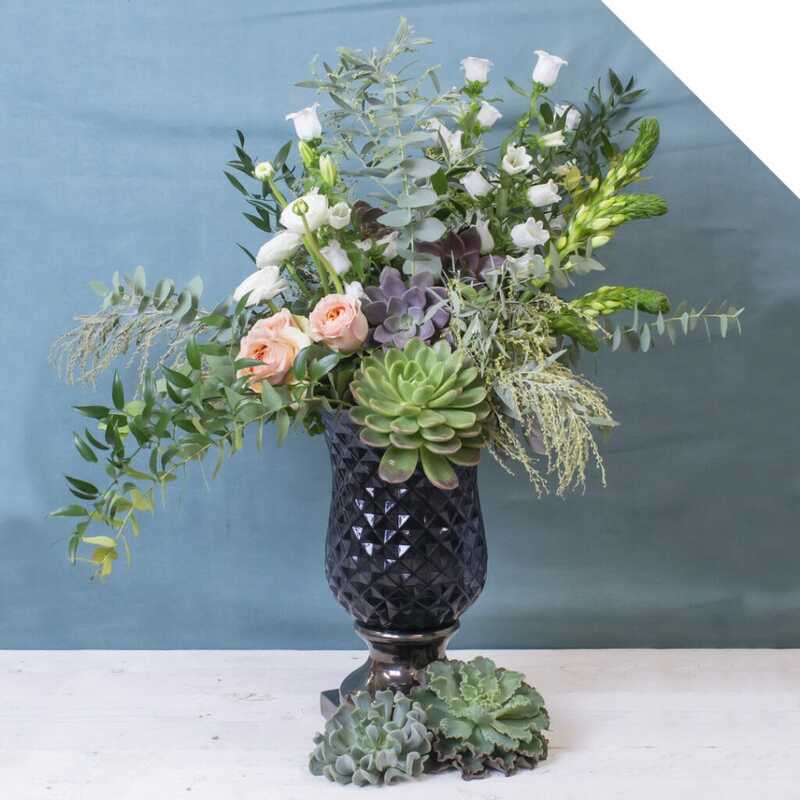 Based in Sydney, Australia, John Emmanuel Floral events is a luxury wedding floral designer with amazing designs. Every picture surely has the wow-effect. 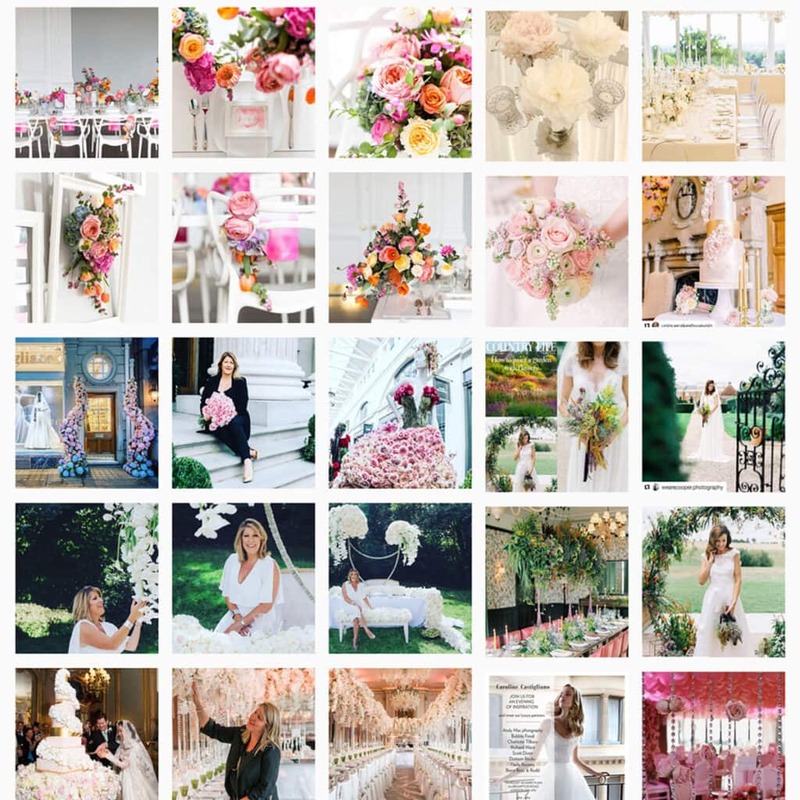 If you’re looking for wedding inspiration than this profile is a must follow! Check it out here.